This multistoried drama purports to detail the events occurring in a single 24-hour period on Bond Street, a "typical" British thoroughfare. The Grand Hotel-like construction of the film allows for several colorful character vignettes. The "dramatis personae" includes an unpredictably temperamental dressmaker, a blinded war veteran, an escaped POW, a gang of blackmailers, and the owner of a valuable string of pearls. Linking the four main plotlines together is the impending wedding of Julia Chester-Barratt (Hazel Court in her pre-horror days). 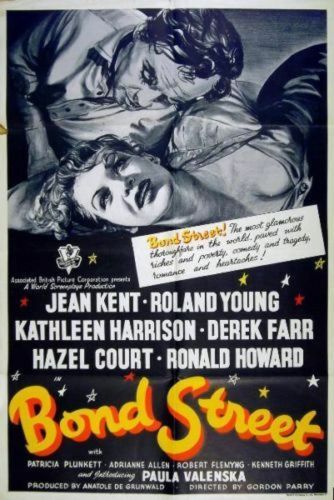 The presence of Roland Young in the cast assured Bond Street a few healthy American bookings.